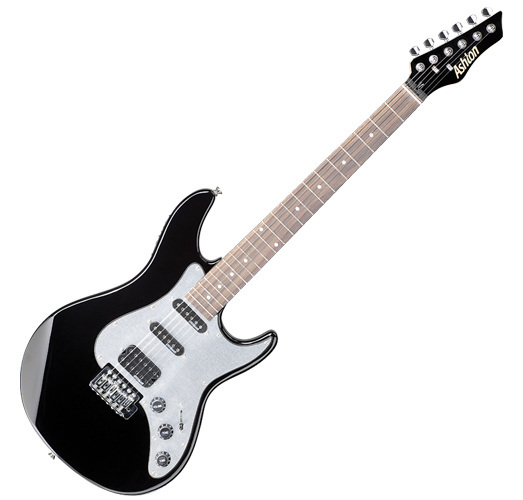 Guitar – description and tuning of musical instrumentEverybody knows some type of a guitar. The guitar has own place in traditional art creation and it has also become popular in many favorite genres – from country, to blues, to rock music at various levels. Of course, it is always used a different style of playing the guitar in every genres and very often the guitar is also different in construction and design. The guitar is a stringed musical instrument with the fingerboard, on which it is being played by the form of strum. 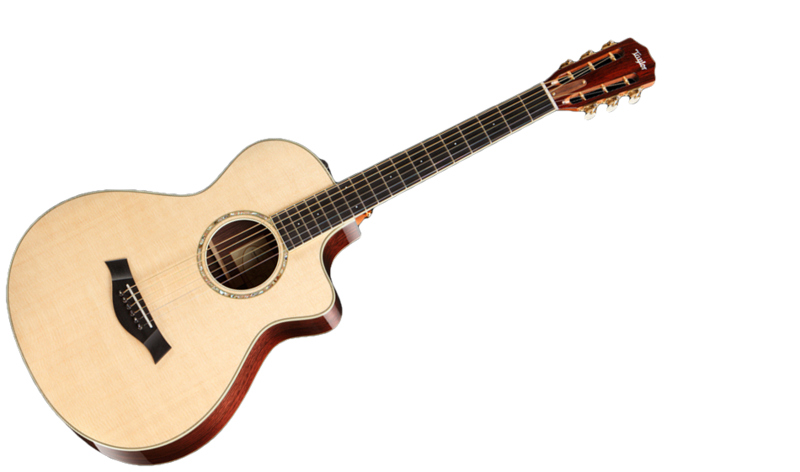 Therefore, the guitar is also sometimes named as a strumming musical instrument. The guitar tone itself arises by the vibration of a tighted string either strumming with help of a plectrum (professional called as “plektr”) or fingers. 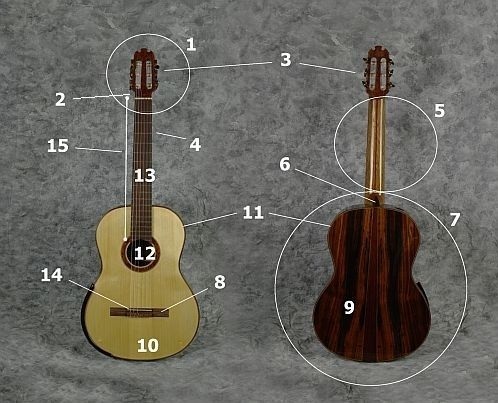 Tuning of six-strings guitarThe classical guitar has six strings. It could seem, that it is not much, but these six strings hide wide sound register. The strings are tighted between zeroth fret on the neck of the guitar and the inset of bridge on the front resonant desk. They are mostly tuned according to the treble clef into the tones E, A, D, G, B, E.
The basic range of tones that arise by shaking strings, you can expand or change by the way, that the player shortened the length of vibrating strings during the play. To do this the strings are pushing to fret. Of course, you probably all have seen it, how it works in practice. Anyway, check out our videos where you will appreciate not only the play itself, but also the unique sound of the double top guitar from luthier’s workshop Hrus. This traditional Central European luthier’s workshop specializes in the construction of double top guitars with a unique inner bracing. What does this mean? For easier understanding, imagine a classical acoustic guitar with a sound box in the shape of Arabic eight. Double top guitar needn’t visually differ in any way. But it looks a little different inside the resonant board. The front resonant board has a completely different structure and therefore completely different properties. In short, it jointly forms and transmits a much better resonance. In addition, in luthier’s workshop Hrus they have also developed a unique internal bracing of this front board, which achieved an even better sound.